We are currently discussing the acheivements of our Leonardo Partnership Project and looking to the future on a farm guesthouse in Katwoude, Netherlands. It is interesting to receive feedback from our partners in respect of what they have acheived personally and as an organisation from our project. We have achieved our primary stated project goals and everyone has benefited in many ways from being involved in EU cooperation project. I have asked each of the partners to share their thoughts on what they have gained from the project here and I will update later with more concrete outcomes of this project. We are continuing now with our preparation for our dissemination event which has been planned for tomorrow. The burning question now is to identify a way forward for our network and how our rural tourism training network can support its members. This is our main objective for our meeting tomorrow. 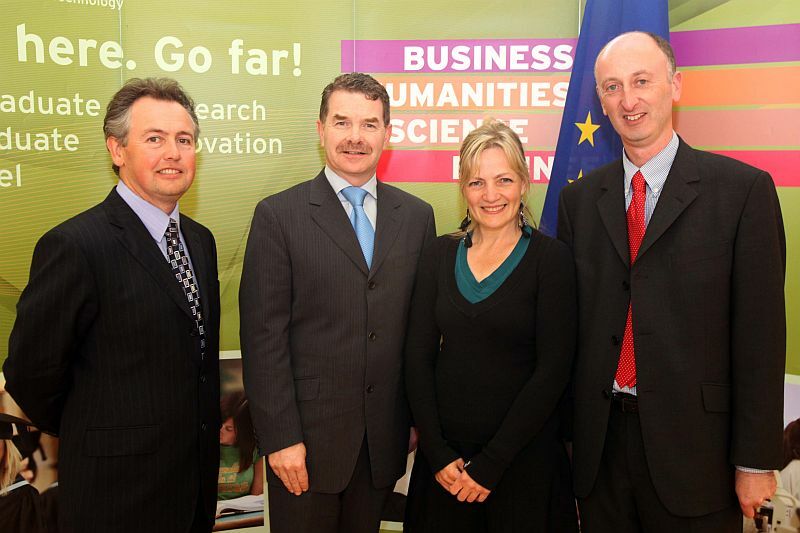 The ‘Train the Trainer’ module in rural entrepreneurship was launched in Athlone Institute of Technology (AIT), Ireland on the 27th May 2010. At an international gathering of the Rural Tourism International Training Network the module was launched by the President of Athlone Institute of Technology, Professor Ciarán Ó Catháin. 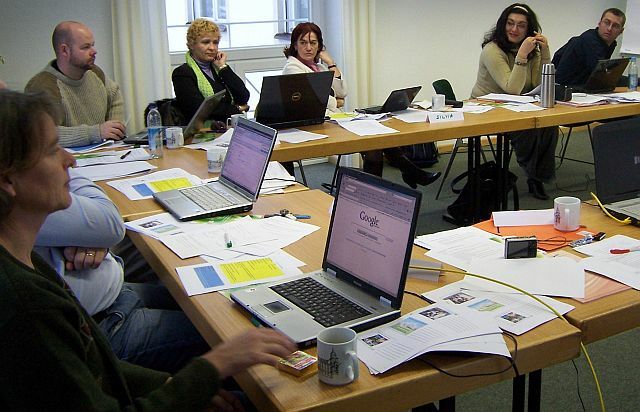 This training module is unique in a number of different ways, mostly because the team that developed the module are from various organisational backgrounds and countries. This team of academics and rural development agencies have worked together to improve the standard of training available in rural areas for enterprise development beyond the remit their normal daily duties. 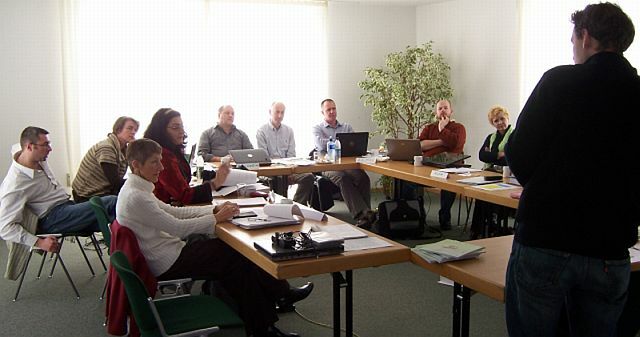 It was also unique to have the experience of defending this training module in front of an academic council in Athlone Institute of Technology. This was done in the spirit of partnership and as a team which worked well together. This accredited ‘train the trainer’ rural entrepreneurship module will provide a vocational education training which will embody the competences of rural entrepreneurship and establishes clear guidelines on the competences of an effective rural entrepreneur trainer. We will continue to seek accreditation in the remaining partner countries and will endeavour to raise awareness about this course as tool for rural development accross the EU and beyond. We are interested in attracting further interest from potential partners whom may wish to have this course delivered in their area. Initially we hope that this training may prove to be attractive to LEADER companies. We will add some case study examples of how rural entrepreneurs in Ireland and Quebec, Canada have benefited from pilot versions of this programme todate. At the launch, the speakers included John Toland and Mary Mullen from Cavan-Monaghan LEADER and Professor Ciarán Ó Catháin from AIT. All speakers acknowledged the valuable support of the Leonardo Da Vinci Programme in this project. 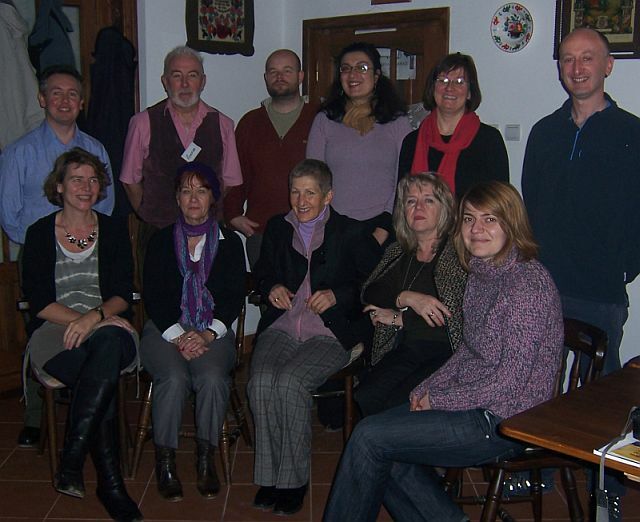 The second meeting of the PART-RTi Leonardo Partnership Project was held on the 10th and 11th of December 2009 in rural Translyvania, Romania. Our meeting was held in the beautiful rural location of Sâncraiu (Kalotaszentkirály) village, approximately 50 kilometres West of the Cluj-Napoca city. We were well looked after by our host Mr. István Vincze-Kecskés who offered us excellent hospitality in the village. During the festive holiday period time is devoted to family and other activites are forgotten for a few weeks and that included this blog! It is the begining of a new decade and within our project partnership we are fast approaching our next project meeting in Bavaria. So the time has come to update this blog and I am delighted to report that our 2nd meeting was a success. Collectively all of our project partners have become familiar with the project objectives and are working towards our agreed goals. Whilst this was our second meeting we were still getting to know each other and were clarifying the project objectives. It is a priviledge to have the opportuity to work with a diverse group of professionals from accross Europe in the field of rural tourism. At each meeting there are always new challenges and it is not easy to come to an agreement on certain tasks. These challenges are presented in the form of communication difficulties through the language of our project which is English. Those of us for whom English is our first language have to keep reminding ourselves to slow down and ensure our points are being understood. There are always a few new faces at each meeting and this presents another challenge in trying to maintain the focus of the project on track. During the meeting, we gained knowledge from each other on how the accreditation systems of each of the partner country operates. There are many similarities and some obstacles to overcome, but we all agreed that we would work as a team towards the development of a common syllabi. Our aim is to have our rural tourism ‘train the trainer’ programme acheiving national accreditation standard in each of the partner countries. The main priority for the partners for the next meeting is to reach a consensus on the Irish accreditation template which has been led by Kevin McLoughlin from Athlone Institute of Technology. In addition, we will be agreeing the timeframe for accreditation delivery in each of the partner countries over the coming year and half of our project. We are now at the stage where we will be inviting national and international silent partners to participate in our project. We are seeking further guidance from international experts and wish to raise awareness about our project among those involved in Vocational Education Training and organisations who promote high standards in tourism training. We will be sending out emails over the coming weeks, but if you have an interest in our work please post a comment here. Carolien van der Laan and I attended the Leonardo da Vinci contact seminar held in Dublin at the end of September. It was a well organised seminar with lots of opportunities to meet potential project partners from the Vocational Education Training sector from across Europe. There were in excess of 100 delegates present at the seminar from 22 countries in Europe. The seminar provided opportunities for networking and meeting new potential partners for Leonardo programmes. There also was plenty of useful information and it was good to find out that a database portal of Leonardo funded projects call ADAM exists. It is a good way to identify if your project idea is unique and whether something similar has already been undertaken elsewhere in Europe. Ms. Joanne Basztura Leonardo da Vinci Programme Manager, European Commission provided an insightful presentation on ‘VET Policies’ by providing clear guidelines on the importance of the Copenhagen process. One of the priorities of the Copenhagen process struck me as integral to any VET project by ‘Improving the links between VET and the labour market’. Personally, I found the “pitch a project” session interesting, particularly in the Transfer of Innovation project category. There have clearly been some excellent projects throughout Europe developed with assistance from Leonardo. One project that caught my attention was; ‘Eurocatering language training’ a web-based language course to enable students to learn vocabulary and communicative skills for placement in a foreign kitchen or restaurant. 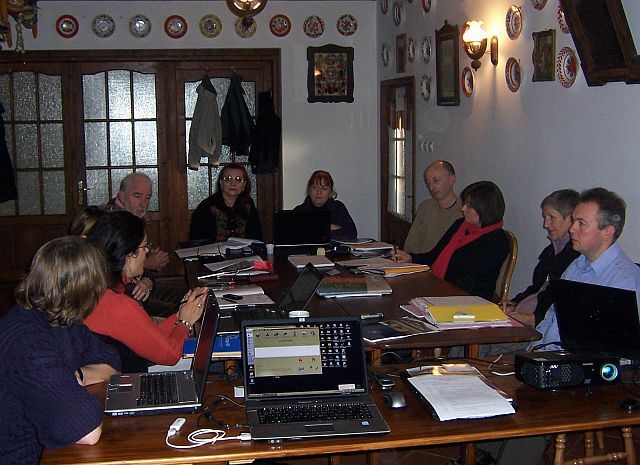 This project has benefits for all small tourism enterprises across Europe to communicate with their European clients. We presented in the Transfer of Innovation “pitch a project” session with a view to expanding our current RTi-PART Leonardo project to develop a new project to deliver our ‘rural tourism Train the Trainers’ programme with new partners. We are currently working on this proposal and are interested in discussing possibilities with new partners. Whilst at the seminar, we established some new contacts and we are looking forward to pursuing these contacts further in the coming weeks.